New Lawn Fawn in Stock & 25% Off! Did you know we have over SIXTY Lawn Fawn items in our store? That’s quite a bit! We just posted some of their newest products for sale including the highly sought after Fairy Friends , Plan On It and Lovable Legends stamp sets! Plus, tons of new dies, inks, and paper. After you add items to your cart, you will automatically get 25% off at checkout since the entire store is on sale right now! Don’t wait until all the stamps you want are gone. Click here to get to the store. 25% off Everything in the Store! We have a sale on the e-bay store right now for an extra 25% off all of the items in the store (with the exception of the MINC Mini Machine). This even includes some hot new items that we just posted for sale! There is no coupon code required. Just add the products to your cart and the the discount will be applied at checkout. Available in individual jars too! Available as individual brushes too! There’s more listings, but these are the ones I am the most excited about! Check out the e-bay store. There’s some great deals to be had! 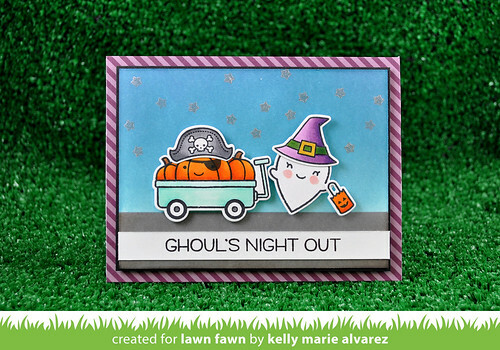 I had so much fun creating this card and making up techniques as I went along! 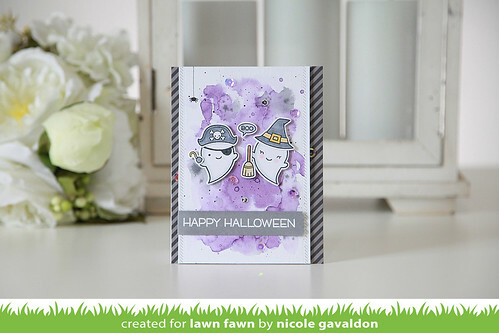 This card features the new Stamp set, Dreamboat, by Avery Elle. Remember, our Avery Elle products are currently Buy One, Get One 35% off! You can even mix and match with Memory Box Co. Dies! The video of making this card will go live tomorrow on our YouTube channel. Don’t forget to subscribe! No Coupon Codes Required! Just add at least $100 of product to your cart and you will get an EXTRA 10% off and Free Shipping. The best part is, you can still use your coupon codes to save even more. Seriously! JUST CLICK HERE TO GET TO THE STORE! The sale starts NOW and ends at midnight on November 30th! Buy 1, get 1 at 35% Off! All Memory Box & Avery Elle! Looking for a great deal on Christmas crafting supplies that isn’t last minute? Well, it’s just a click away! Right now we have Buy one, get one 35% off on all of our Memory Box and Avery Elle products! That is a seriously awesome deal. It’s like getting 17.5% off each which is a bigger discount than we normally do! Plus, you can mix and match. You still qualify for the deal if you want one Avery Elle product and one Memory Box product. Isn’t that great? 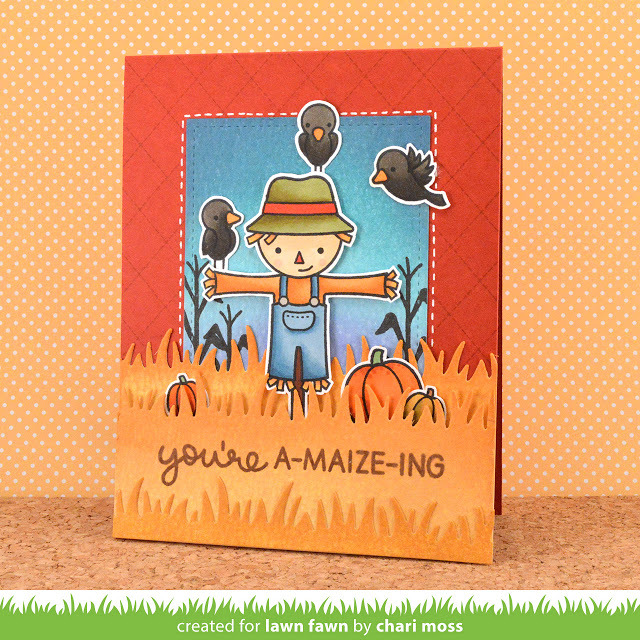 Click here to see all of the great NEW RELEASE products that are discounted! Graphic 45 Paper Cheaper Than You’ve Ever Imagined! I just added a sale to the ebay store that discounts over 60 items to 35-60% off! Included in those listings are many Graphic 45 papers! Spend over $75.00 and get an extra 5% off. Spend $40.00 or more and get $5.00 flat rate shipping. Paper is heavy which means the more you buy, the more shipping you normally have to pay. Not when you are buying from Intoxicating Arts! In fact, it’s the exact opposite. Baby 2 Bride Deluxe Collector’s Edition – MSRP $30.00 , you pay $17.00! Raining Cats and Dogs – MSRP $22.00 , you pay $12.74! Time to Celebrate – MSRP $22.00, you pay $12.74! Times Nouveau Deluxe Collector’s Edition- MSRP $30.00 , you pay $18.78! Typography Deluxe Kit 16 papers , Chipboard & Stamps MSRP $32.99, you pay $13.59! Typography Chipboard MSRP $5.99, you pay $3.39! Typography 8 papers and Chipboard MSRP $13.99, you pay $6.37! Time to Celebrate 8 x 8″ – MSRP $11.00 , you pay $7.64! This great sale ends in just ONE WEEK so now is the time to snag some Graphic 45 papers at an amazing price! Website Update and a Coupon Code! Now all of the great items you love to buy from Intoxicating Arts on our E-bay Store are available on our website! You might wonder why this is such a big deal or how it will benefit you as the consumer, so let me explain! Selling the products on our website allows us to create a searchable data base making it easier for you to navigate the website. Having a search bar allows you to type in what you are looking for and the website will come back with relevant suggestions. You still get the deep discounts you are expecting to find from us, PLUS you can use coupon codes! You still get $5.00 flat rate shipping on orders over $40.00, PLUS if you spend just $10.00 more and have an order total of $50.00 or more, you get FREE SHIPPING within the United States! You can still check out using Paypal or check out as a Paypal guest and use whatever credit card you want. Create an account with us one time and have quick and easy checkout every time after. So, why else would you buy directly on our website instead of e-bay? If you found us through e-bay and are a returning customer, we are so happy that we provided you with a great experience and you want to come back! I’m sure you are aware that e-bay makes commissions for providing the online marketplace for us sellers.I’m grateful that e-bay exists for that reason alone. However, I’d rather offer craft supplies at even lower prices and benefit my customers rather than e-bay. If you buy directly on our website, we’ll pass the savings on to you with coupon codes and additional shipping discounts. Let’s celebrate with a coupon code! Just for being a reader of this blog, you can get 10% off your order on our website. There is no minimum purchase to use this coupon code. The code will expire on October 31st, 2015. Limit one use per customer. Please feel free to share this code with all of your friends and family! On the checkout screen enter “BLOG” , just the word without the quotations. CLICK HERE TO GET TO OUR WEBSITE NOW! Thank you for being a blog reader and have a wonderful day! NEW LAWN FAWN IN STOCK – UP TO 15% OFF! We have new Lawn Fawn products in stock and ready to ship tomorrow! CLICK HERE TO SEE ALL OF THE LAWN FAWN PRODUCTS WE HAVE LISTED! For a limited time, you can save up to 15% off new Lawn Fawn Products! Get 10% off all Lawn Fawn items with an MSRP over $5.00, plus an extra 5% off your entire order when you spend $50.00 or more. As always, you get $5.00 flat rate shipping on all orders over $40.00. We have stamps, dies, inks, twine, and papers ready to ship tomorrow for the big release! Don’t delay! Halloween, Thanksgiving, Hanukkah and Christmas will be here before we know it. Get crafting now and be ready for the holidays! To see all of the new Lawn Fawn products and to get inspired, visit the Lawn Fawn Blog. 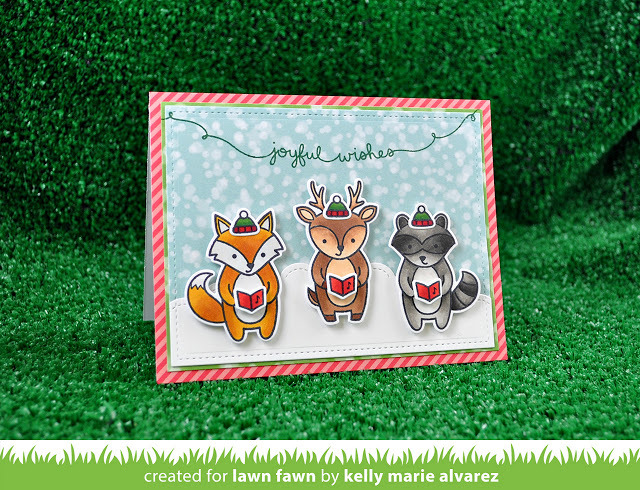 I hope you’re inspired and excited for the new Lawn Fawn Releases! I know I am!! I have a great sale going on for just 8 hours! It ends at Midnight tonight. Get $5.00 off any order over $25.00. This is on top of our already discounted prices! Most of our products are 20-40% off already! I know, I am CRAZY! BUT…. I have some awesome new products coming in and I need more room for them!! No special code is required. Just buy at least $25.00 worth of products and you will save an extra $5.00. PLUS you can still get $5.00 flat rate shipping on orders over $40.00. What are you waiting for?! Click the picture below to get to our products!